No longer delimited to the Loire Valley, France or Marlborough, New Zealand, almost the entire wine-world is now producing Sauvignon Blanc and the whole world is willingly drinking it. Curtis Marsh comes out of the closet in defence of this greatly maligned variety. Since early Roman times, the wider popularity of grape varieties has been largely determined by its ability to travel or adapt to new environments and, above all, fashion. Achieving global massconsumer appeal for any grape variety in this day and age has long been a very tight clique, namely Chardonnay and Cabernet Sauvignon. 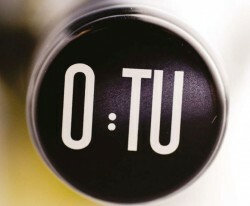 This is largely due to the chameleon-like nature of these varieties, readily acclimatising to almost any habitat but also highly manipulative in the winery, if not formulaic, with oak and barrel ferment characters an overriding ingredient in achieving an almost universally accepted flavour profile and body or mouth-feel. This article was originally published in the Cuisine & Wine Asia. All Rights Reserved.